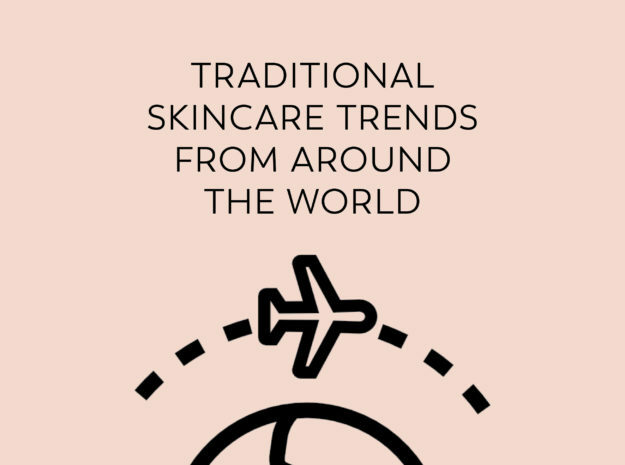 Modern day skincare products in the western world have evolved. Before synthetic preservatives, emulsifiers, activating ingredients and fragrances were discovered, people all over the world were doing a pretty good job of taking care of their skin without products manipulated by chemicals that we’re used to seeing on our shelves. While Biologi is a revolutionary product, as the first single-ingredient 100% active serum, it’s also going back to basics and harnessing the true power of nature without the use of synthetics, just like the ancients have been doing for millennia. For a natural solution with anti-inflammatory properties, Native Americans used the yarrow plant (Millefolii herba) to tighten pores and relieve insect bites, sun and wind burn. When the yarrow plant arrived in Australia with the import of fodder for animals, the Native Australians discovered its properties for skin care. A recent study (1) found that it was the flavonoids and sesquiterpene lactones in the plant that were responsible for its effectiveness. Gallic acid found in Bd and Bk serum (extract of Davidson Plum and Kakadu Plum respectively), has the potential to improve a variety of inflammatory skin disorders, reduce skins redness and recover from overexposure to the sun. Brazilians love their micro bikinis – and that means lots of superb glowing skin on show. Modern beauties use what their ancestors taught them by rubbing sand into damp skin. It acts as a natural exfoliator, stimulates circulation, releasing toxins and breaking down fatty tissue that could lead to cellulite. The tartaric acid in Bd serum acts as an enzyme exfoliant that breaks down the protein which creates the dead cells rather than relying on a harsh scrub. Enzyme exfoliants don’t directly remove cells so healthy skin cells will stay just as they are! The ancient Greeks rubbed olive oil into the skin to moisturise and lift off the dirt, then cleaned themselves with pieces of pumice stone that the nearby volcanoes conveniently spat out, moisturising and exfoliation all in one! Combine the exfoliating properties of the tartaric acid in Bd serum with the anthocyanin flavonoid that helps hydration, and you have your very own ancient Greek-inspired skincare ritual in a modern-day bottle! Many women in Asia use rice-infused water to lighten skin and keep it soft, smooth, and brighter. It’s said to alleviate pigmentation marks, help with sunburn, and leave skin soft and glowing. Made by boiling a little rice in water, then using the rice water to cool and soothe the skin, the liquid is usually applied and left on overnight. Sometimes a paste made from rice flour and warm water is used to lighten pigmentation marks, and rice flour mixed with coconut milk brightens and moisturises. Biologi equivalent: Bk and Bf serum. The potent natural vitamin C content of both serums reduces coloured pigmentation, minimises visibility of sun spots and helps to brighten skin. Chileans mix a small bunch of red grapes with a teaspoon of flour to create a paste and apply to their faces and the back of their hands to avoid pigmentation marks and ensure a clear even skin tone. Rich in gallic acid and ellagic acid, Bk serum inhibits melanogenesis to reduce sun spots, reduce coloured pigmentation and contribute to even skin tone. The ancients certainly knew a thing or two about beauty secrets and have handed them down through the years. When extracted purely from their source and left untouched, natural ingredients provide clear and smooth skin and offer protection from the elements. Biologi serums are pure extract from a natural source. Using a revolutionary extraction system that mimics the plants internal processes, all our serums are 100% active, undiluted and fragrance free. Dawid-Pać, R. (2013). Medicinal plants used in treatment of inflammatory skin diseases. Advances in Dermatology and Allergology/Postȩpy Dermatologii I Alergologii, 30(3), 170– Available at: http://doi.org/10.5114/pdia.2013.35620 Accessed 31 May 2018.